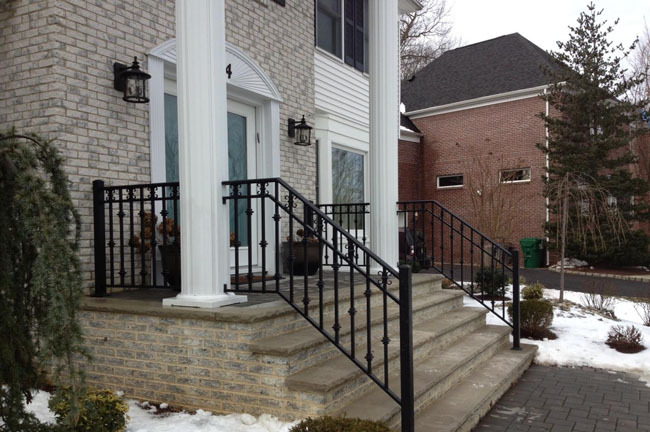 If you are looking to replace your columns or railings, Ace Home Improvements is just a phone call away. 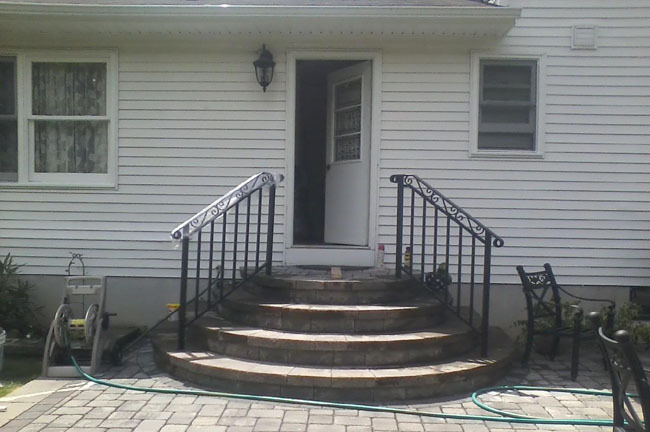 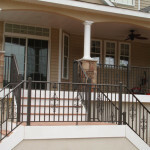 If you are looking for repair or installation of any type of column or railing in New Jersey, Ace Home Improvements is just a phone call away. 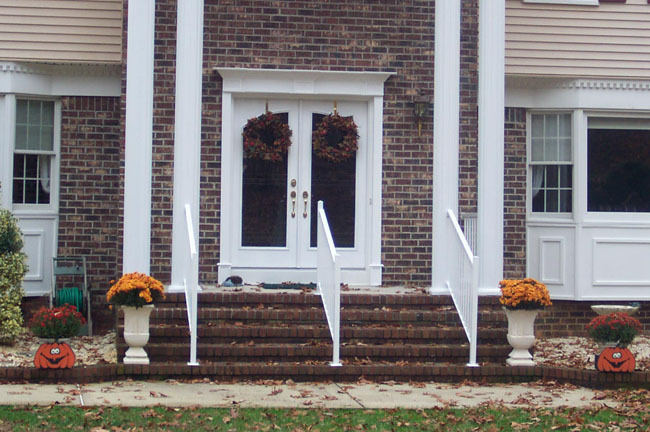 We understand that these elements are not just about structure—columns and railings are decorative and give your home or place of business a unique and beautiful look. 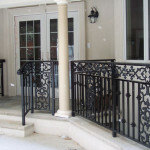 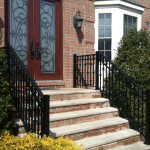 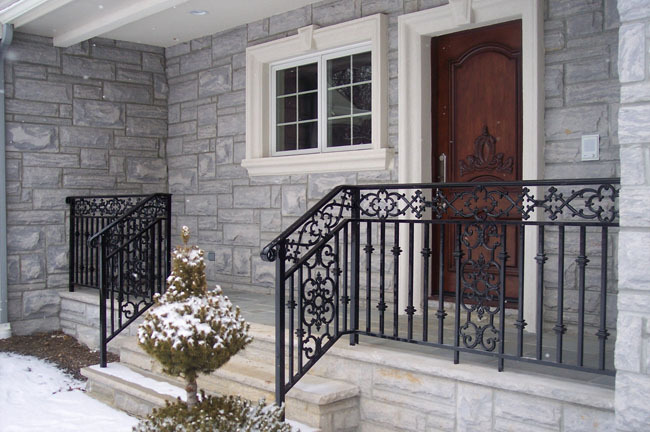 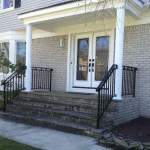 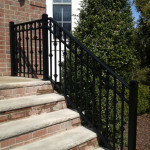 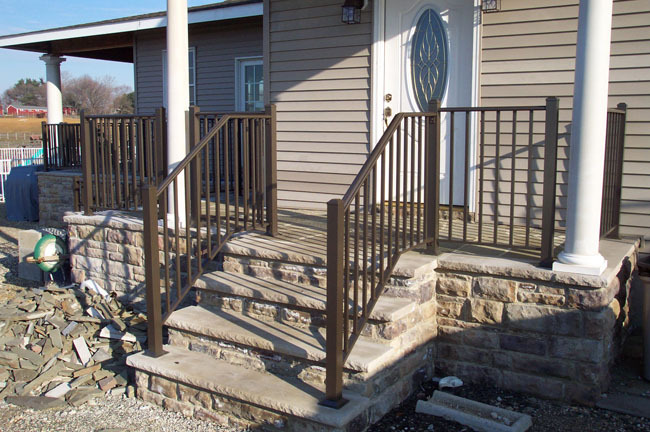 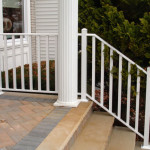 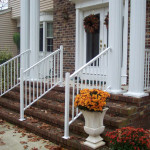 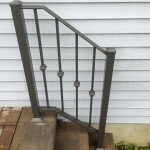 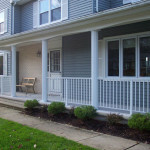 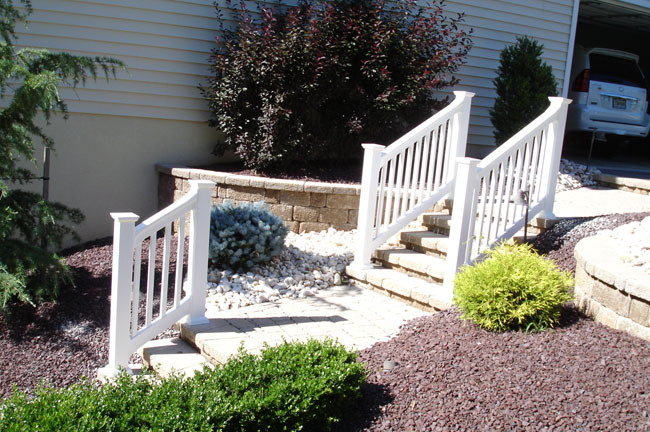 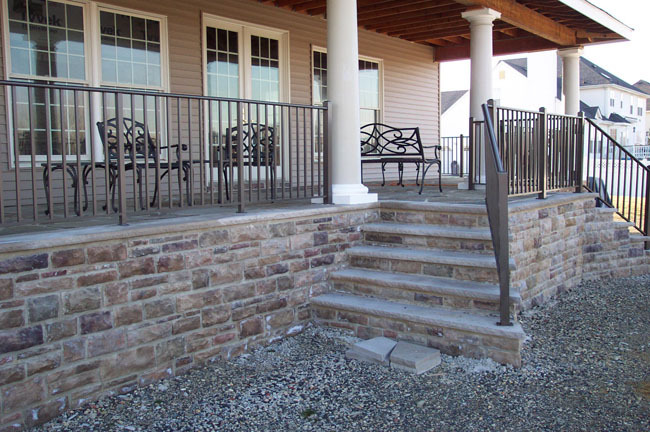 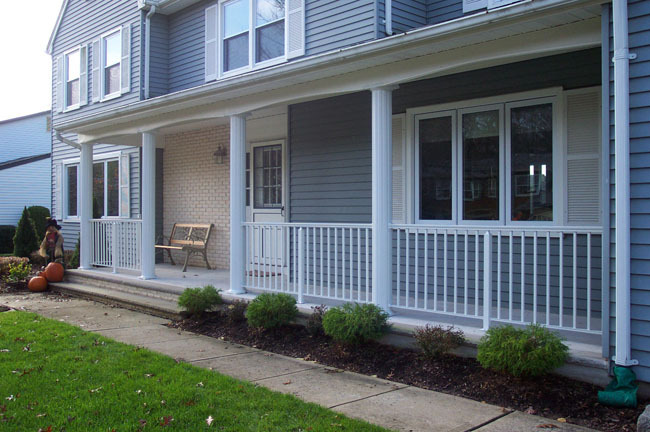 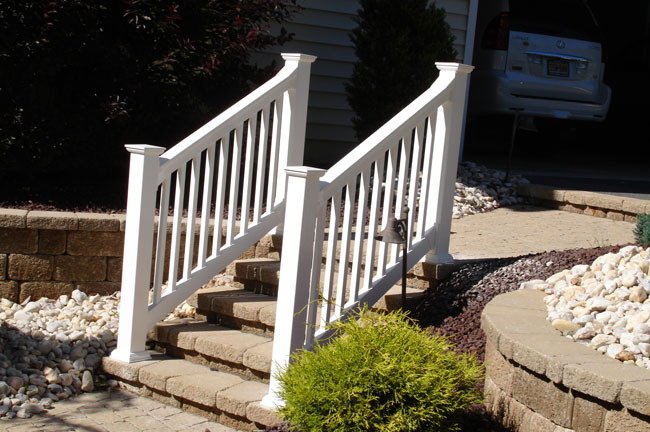 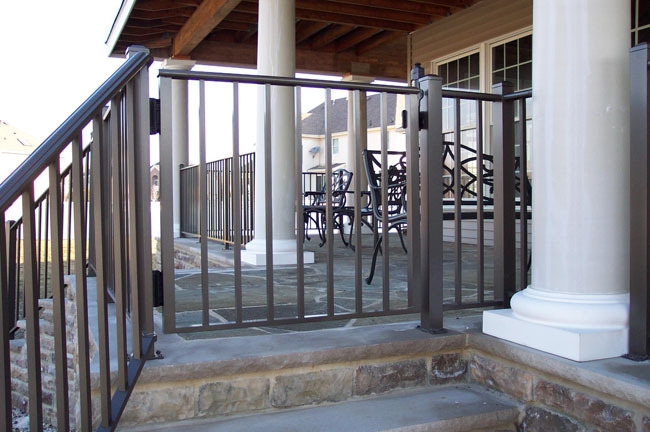 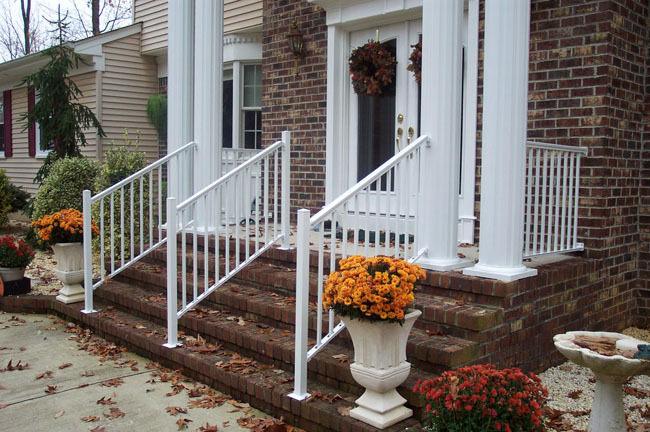 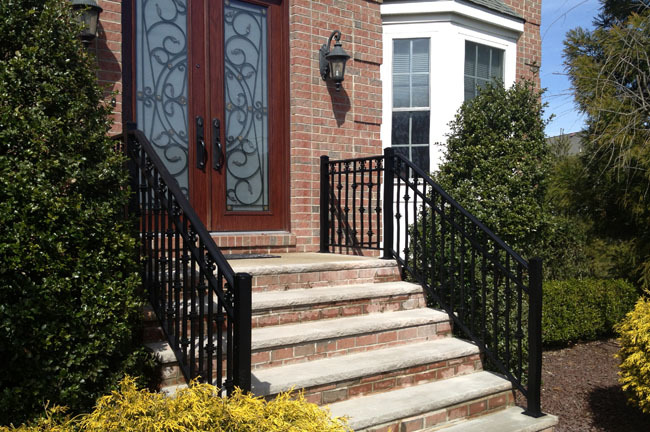 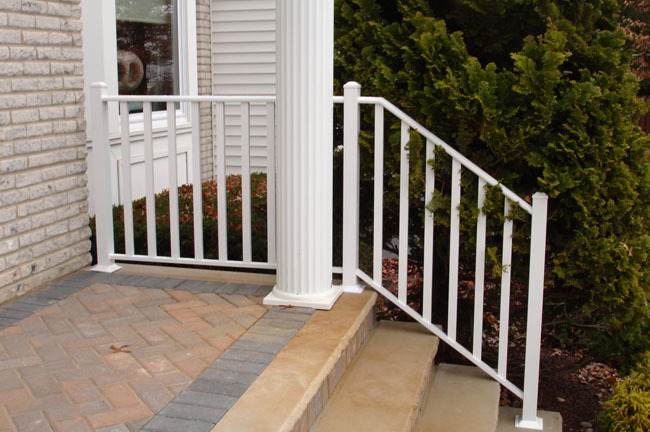 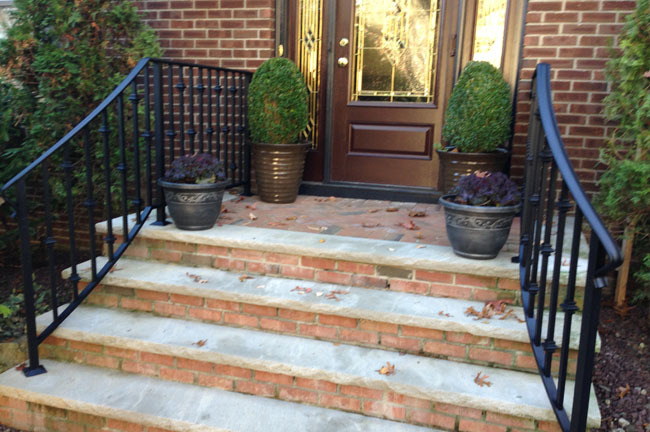 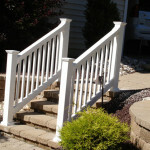 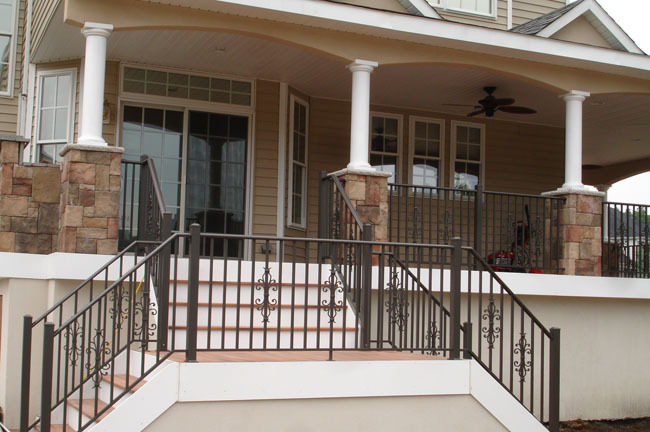 Railings on your porch, stairs, deck or balcony area need to stay in good repair to keep you and your family safe. 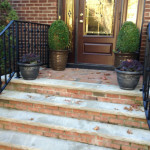 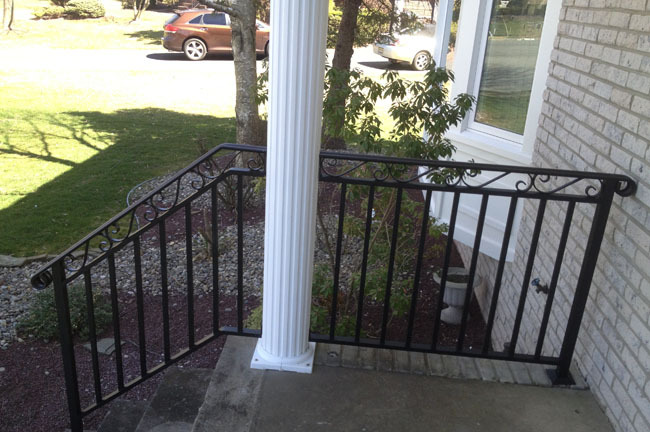 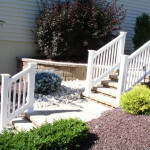 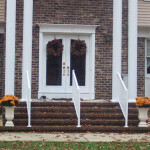 We can fix a broken railing or make large-scale repairs as needed. 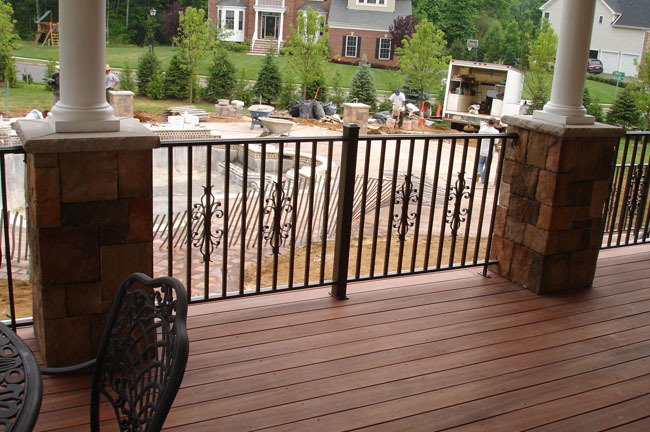 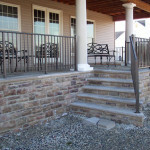 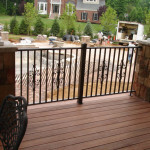 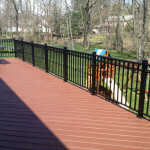 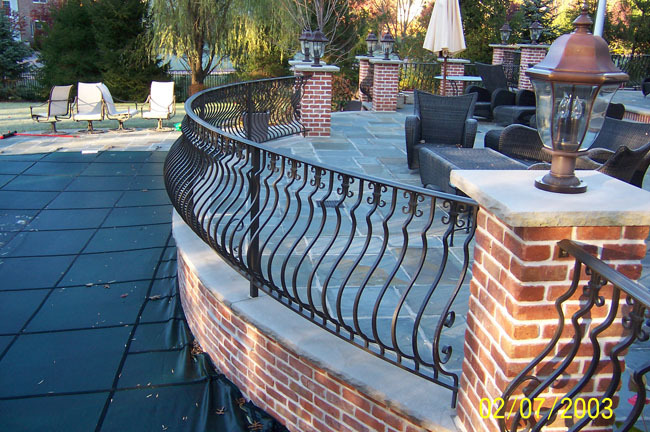 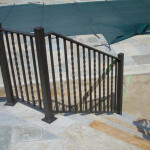 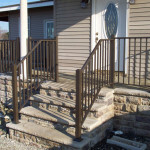 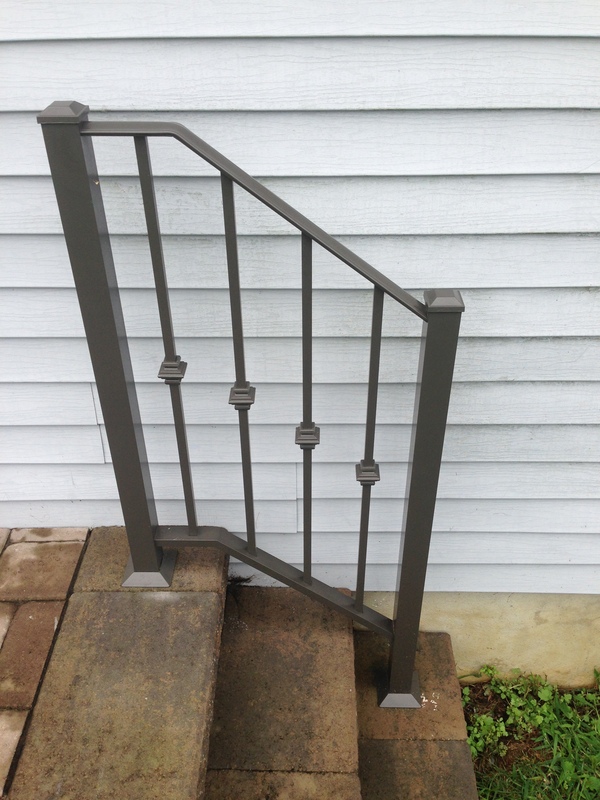 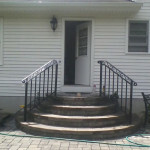 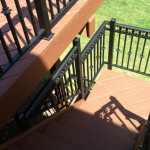 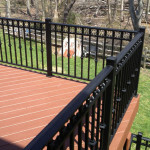 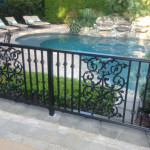 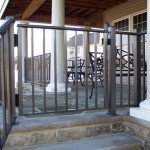 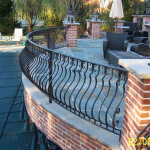 Additionally, if you want to change the look of your property, a new railing is a creative way to add interest. 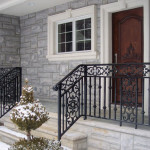 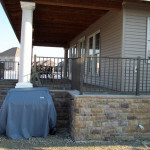 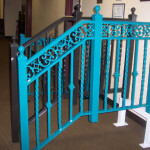 We offer fully customized aluminum railings in all different colors and styles. 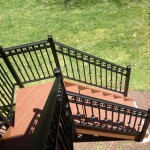 These are custom made so that they fit perfectly. 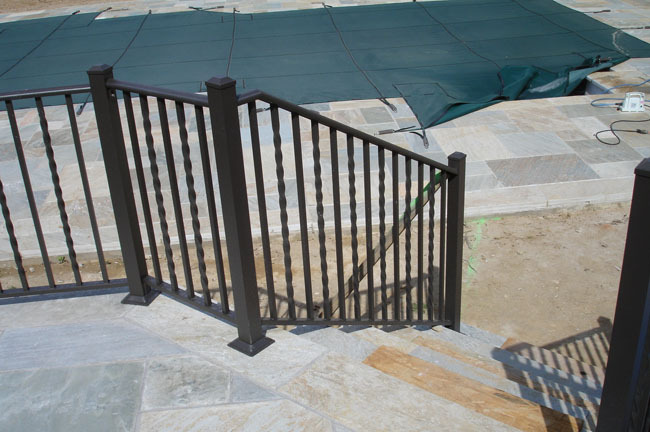 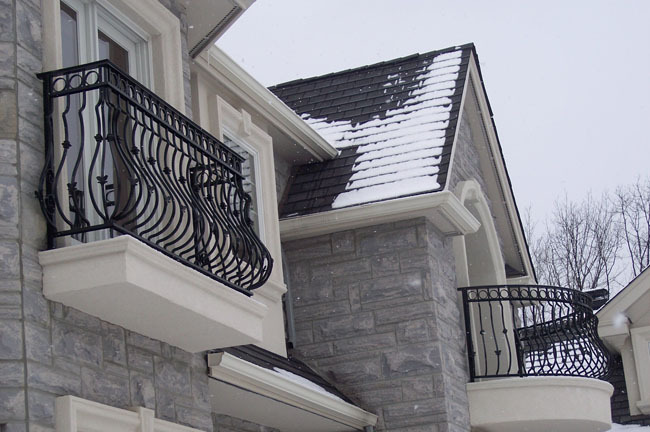 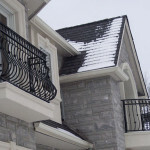 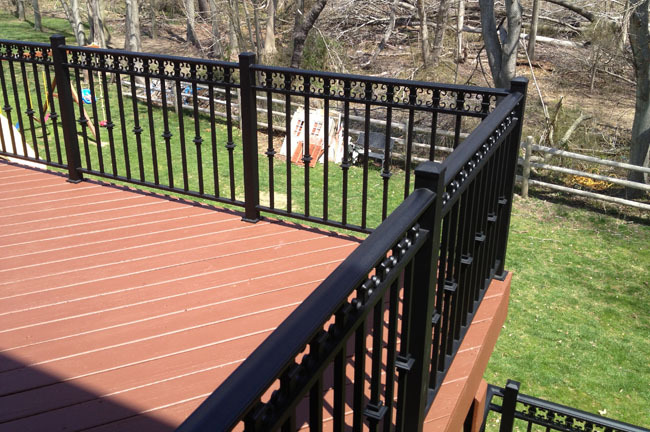 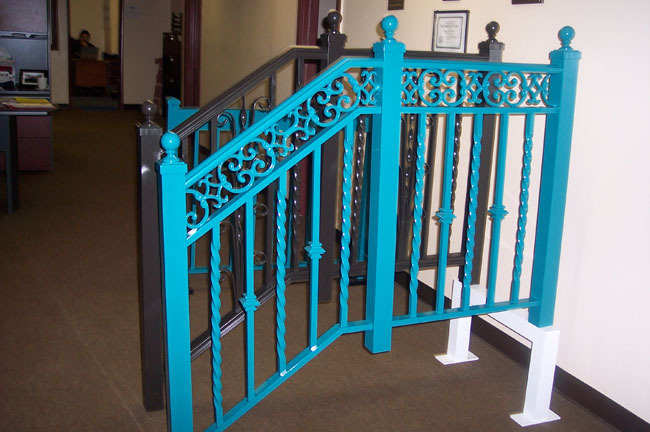 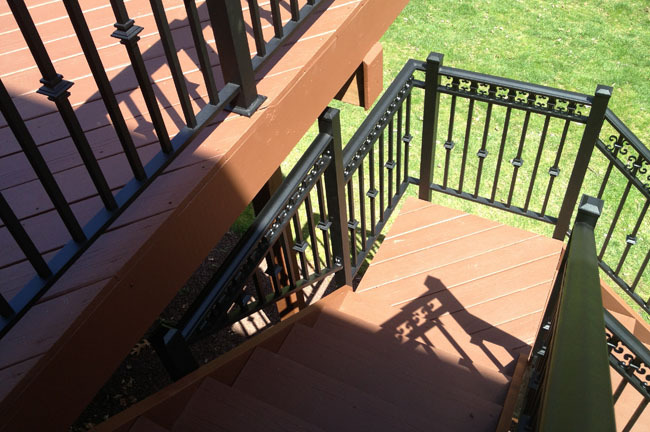 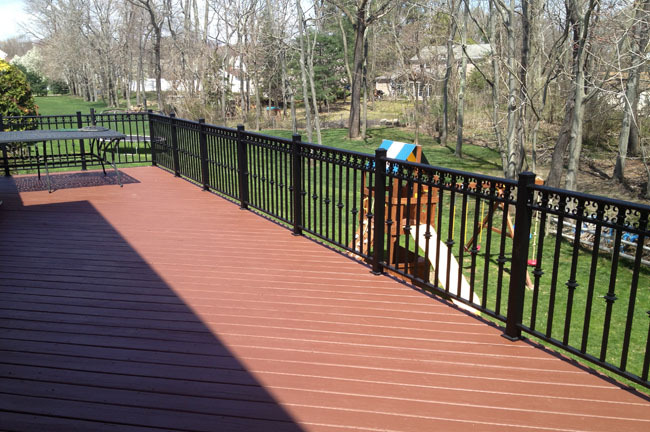 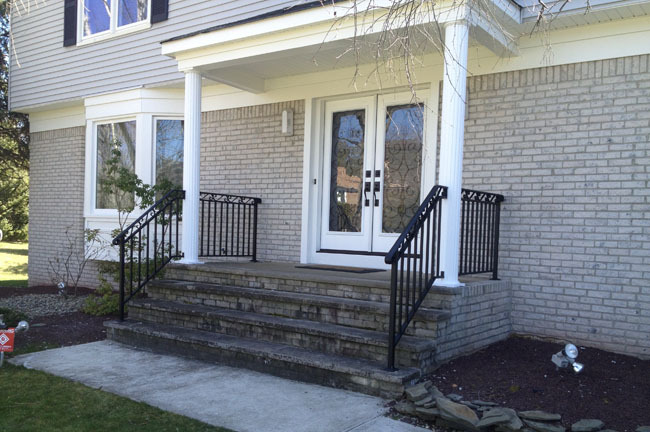 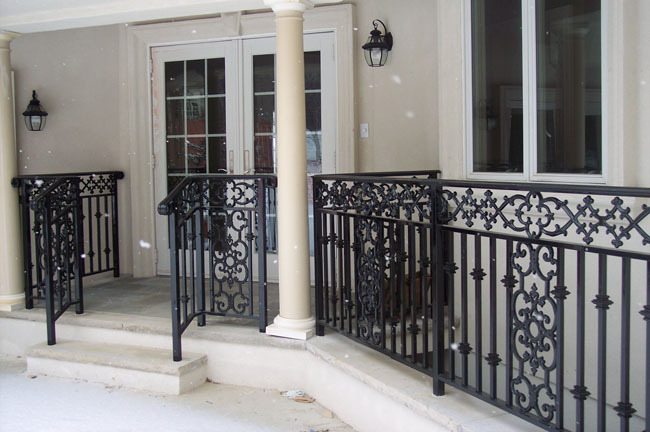 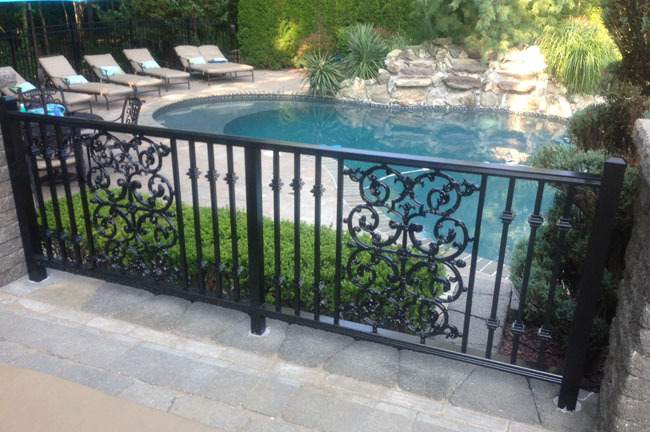 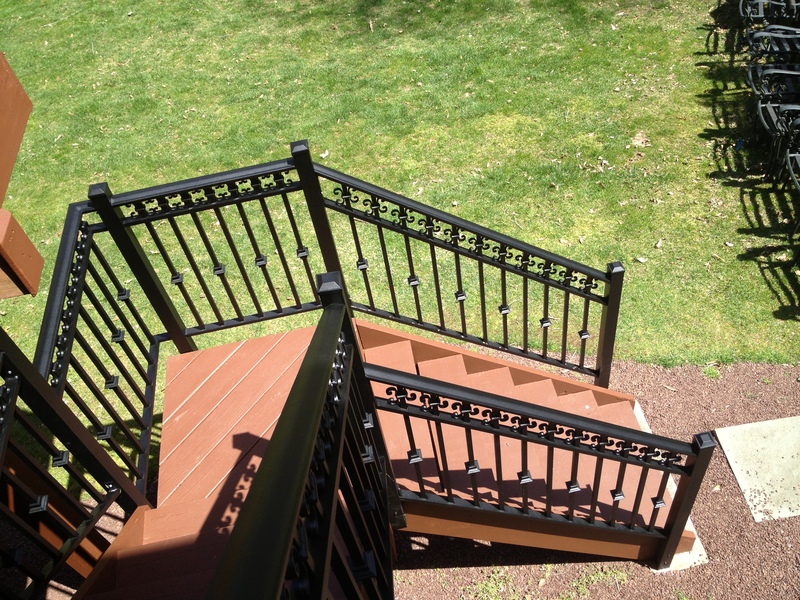 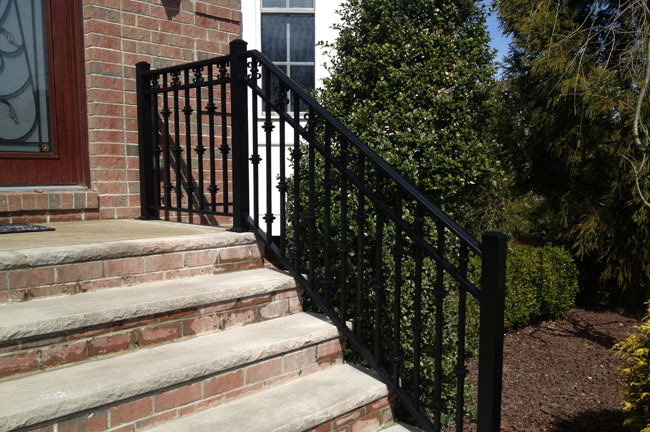 All of our railings have a factory powder coat finish for little to no maintenance. 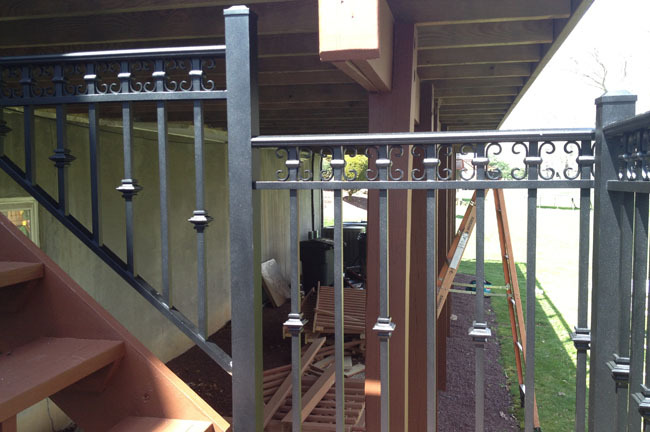 Railings are core drilled and cover plates are always included. 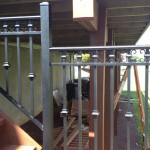 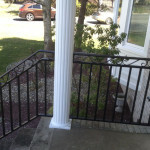 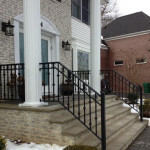 Since the railings are aluminum they will not rust like the old wrought iron railings. 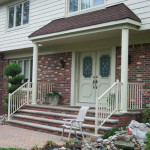 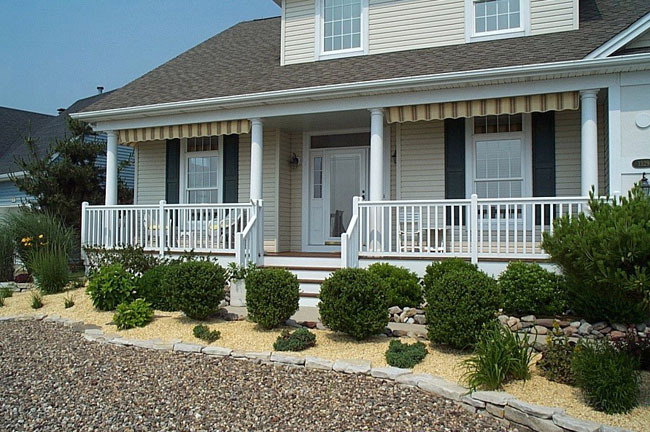 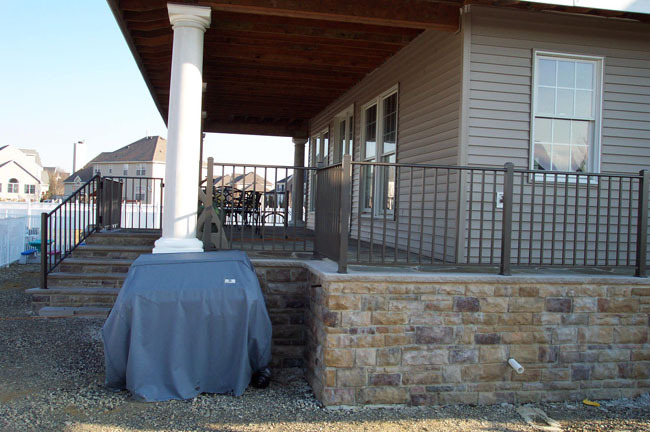 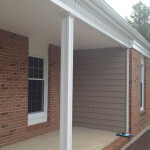 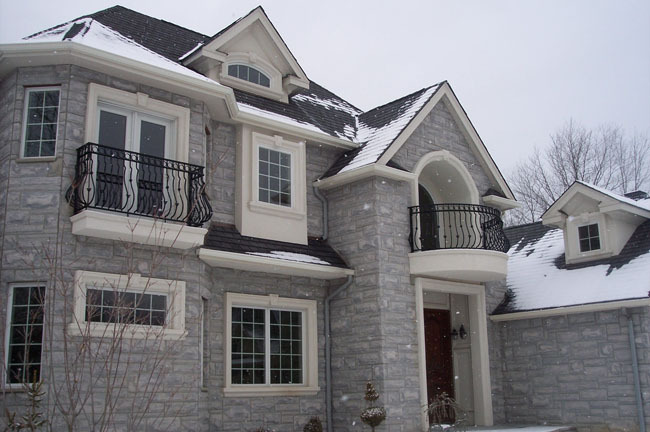 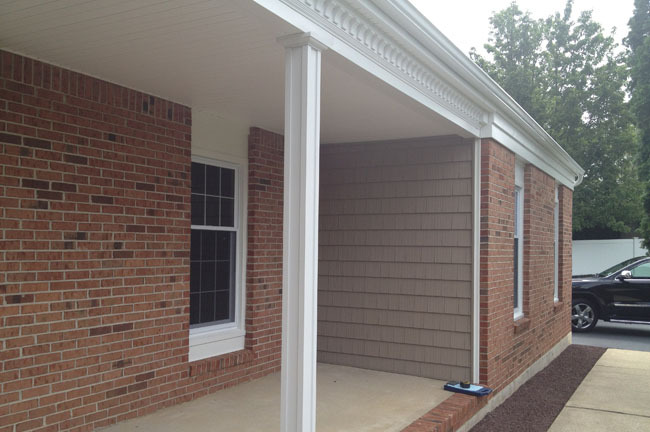 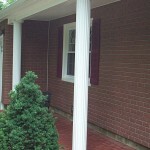 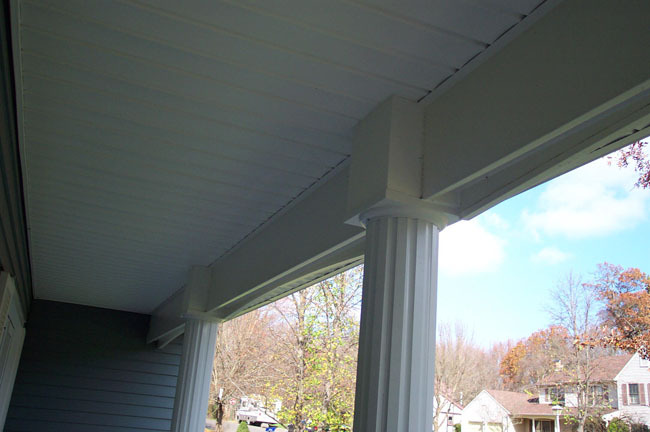 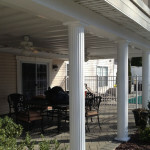 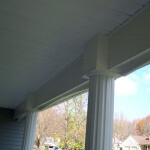 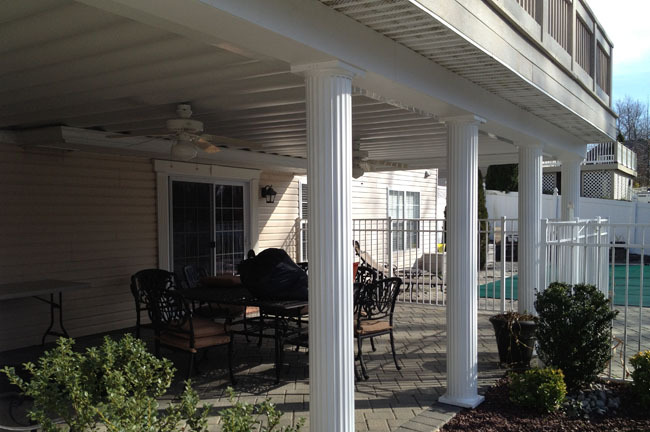 Columns offer support to an upper level of your home or for a deck or balcony. 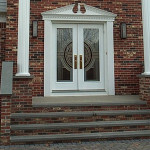 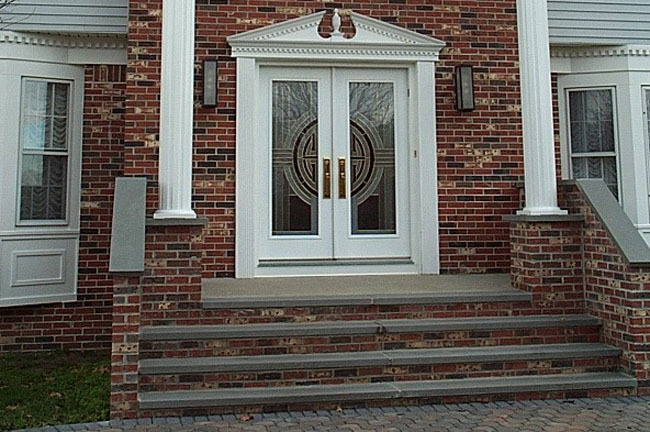 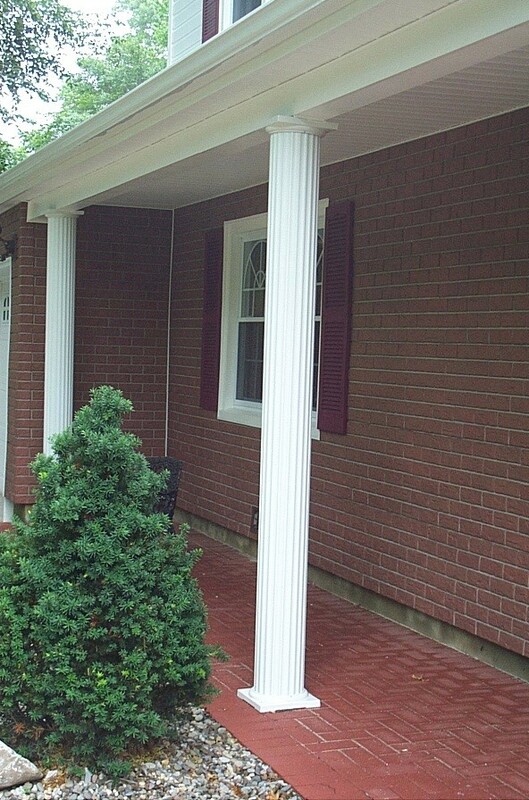 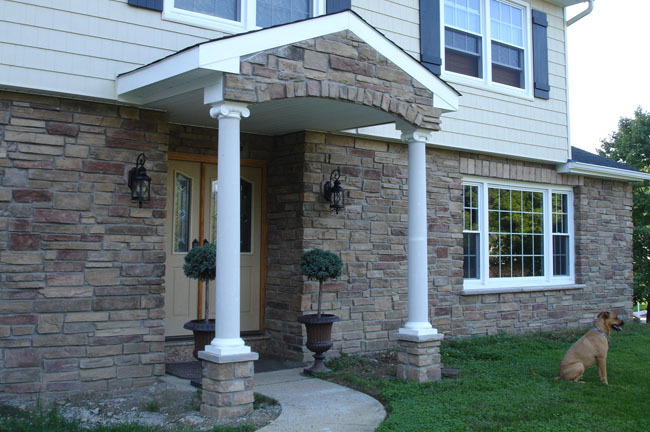 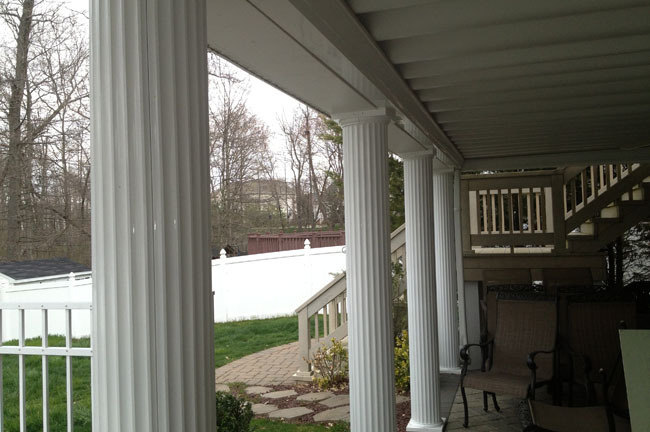 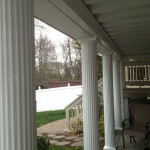 Columns are aluminum, fiberglass or vinyl – we have them all. 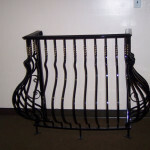 Many different styles, colors & sizes to choose from. 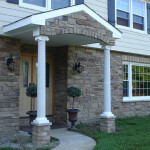 Our columns are decorative and load bearing. 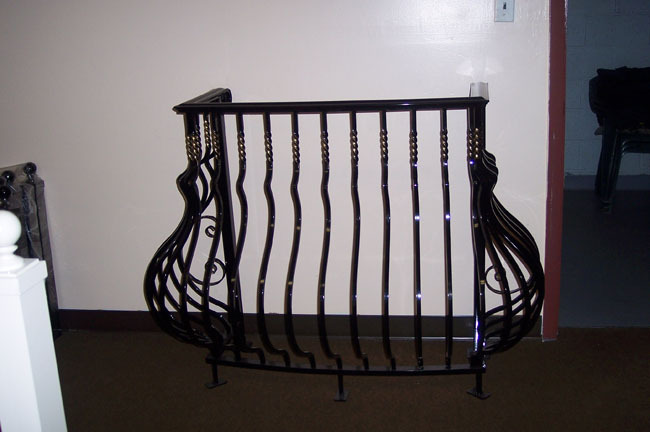 You do not want to take chances with this vital structural element. 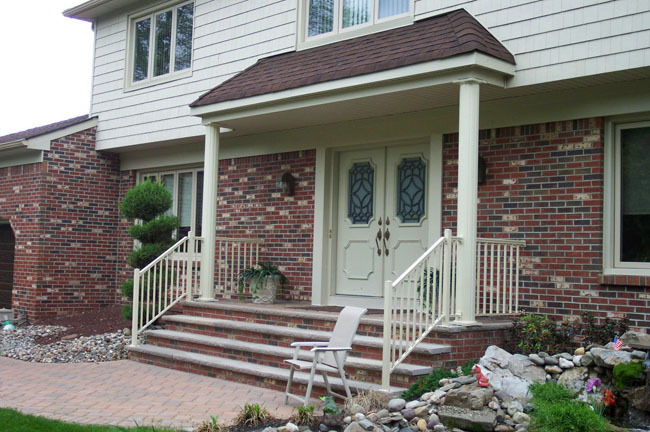 Give us a call and let us discuss your options when it comes to repair or replacement.